Eric Liddell (1902-1945) stunned the world by refusing to run his Olympic race on a Sunday, a day he believed was for honoring God. Many people thought he was a fool, but Eric believed God's promise. "He who honors me, I will honor" -and God kept His promise. From winning Olympic gold to leaving his fame behind to go to China as a missionary, Eric put God in first place. 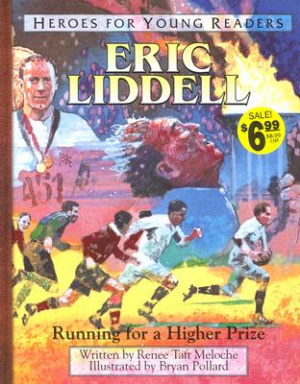 Eric Liddell: Running For A Higher Prize by Renee Taft Meloche was published by Frontline Communications in October 2001 and is our 5473rd best seller. The ISBN for Eric Liddell: Running For A Higher Prize is 9781576582305. Be the first to review Eric Liddell: Running For A Higher Prize! Got a question? No problem! Just click here to ask us about Eric Liddell: Running For A Higher Prize.